Set out two shallow plates, one filled with liquor and the other colored sugar. Turn the glass upside down and dip the rim into the liquor, then sugar. Set aside. In a medium pot, simmer cranberry, water, rock sugar, cinnamon stick and cloves for 15 minutes. Taste, add water and/or sugar if necessary. Strain the cranberry juice by cheesecloth and return to the pot, simmer with orange juice and zest, serve anytime. And to all my dearest friends, happy new year!!! That looks quite tasty and refreshing! Here's to a healthy and happy new year, my friend!! Gattina, this punch makes me want to try cranberries really bad! It's a shame we cannot find them here in Brazil. It looks so refreshing, especially with a dash of cinnamon! This looks so festive, especially dipping the rim in liquor/sugar! Happy New Year to you. OMG!! Thank you!I didn't realize Cranberry punch could look THAT beautiful,Gattina! :)Wonderful work and I am sooo glad you enjoyed it! Happy New Year to you and your's. I am still in FL but couldn't resist commenting on that colorful punch! :)I will see you next week.Enjoy! Thank you for the great year of posts, Gattina! I love cranberries, and this punch looks refreshing and perfect for a New Year's Eve celebration. Mmmm... I'm feeling very thirsty! ;-))) Happy New Year, my friend. So glad to be blogging with you! Pat, I actually like the look of cranberry more than its taste ;p; it's just plain sour if without adding sugar. For me, cherry has more interesting flavor, but it's ridiculously over-priced here. Asha sweetie, where are you touring now... Miami? Orlando?... you've been missed! Paz, me too, meeting you has been one of the treasure in this year! Angie *hug hug* I can't thank you enough of being with me all the time, my dearest friend!!! Hi gattina! 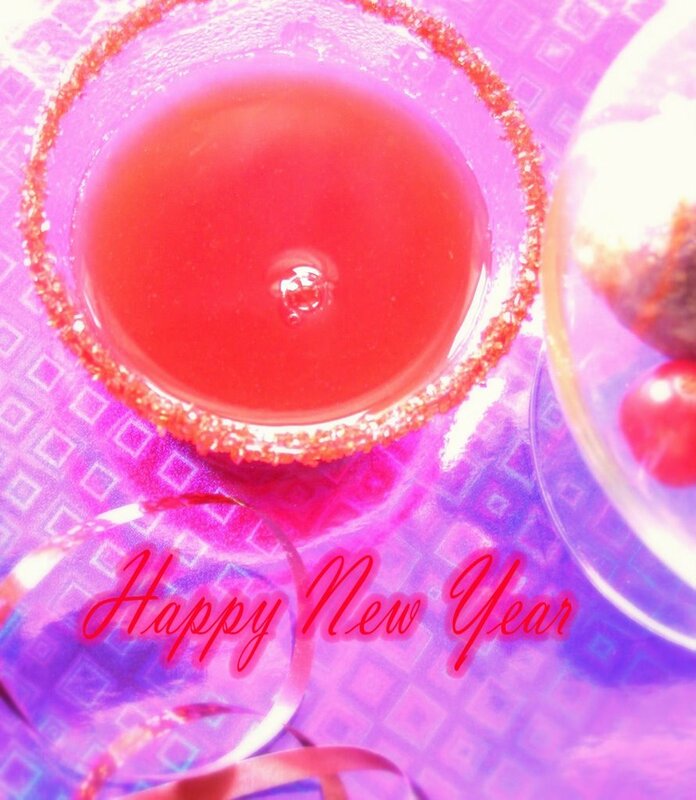 Here is a new year 'punch' from me..have a rocking new year! oh nice idea. Love the color! I will have to keep this recipe handy! Wow, so colourful and tempting!! gattina, wishing you and your family a wonderful New year! Oh, I just love cranberries and I can only imagine how warm and comforting this was! Enjoy, Gattina and a Happy New Year to you! Mmm, this looks for tasty and the color is fantastic. Hope you have a wonderful 2007. Wow - your photos are incredible! Very nice job. Gattina wishing you a wonderful new year! 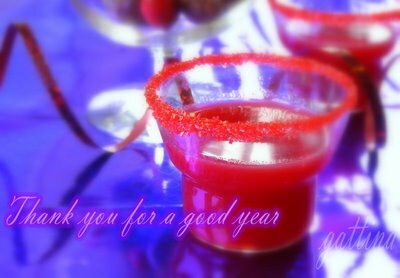 Dear Gattina,thank you so much for your friendship and encouragement , may the New Year be the best for you. Wish you a very happy New Year. Reach for the stars my friend. May the new year usher in good cheer,happiness and blessings to you and your family! This looks sooooo refreshing! Happy New Year! I can wish it now. Happy New Year Gattina! Looking forward to reading new posts of yours! I just discovered fresh cranberry juice about a year ago. In fact I did my first post on it. Now I'm hooked on it. But warming it and the cinnamon & cloves I must try. It will have to be next season as there seem to be no fresh ones available now! Bummer.